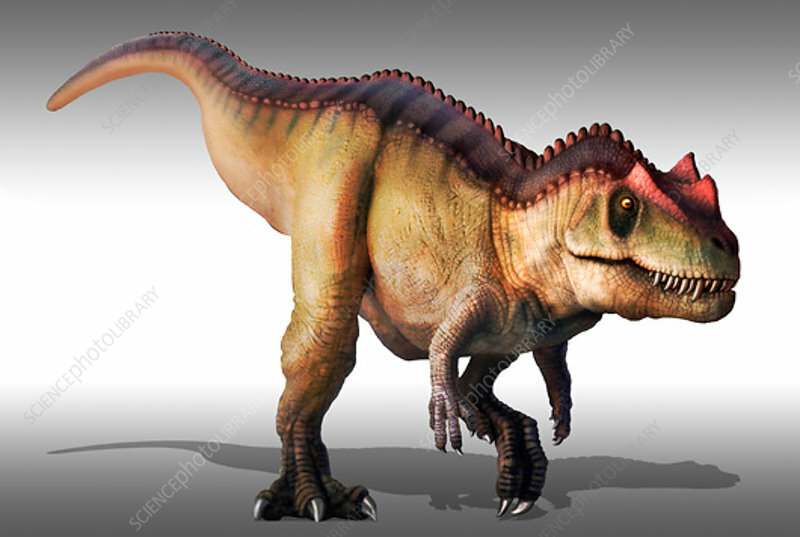 Ceratosaurus, illustration. This large carnivorous theropod dinosaur lived during the Late Jurassic (153-148 million years ago) in what is now North America. It reached lengths of 6 to 7 metres.